Note: This page is for current students. Faculty, Staff, and Student Alumni can Login to GET (formerly Eagle i-View) or visit the Faculty/Staff/Alumni GET page. GET asks for a User ID and password in order to sign in. These are based on your 4-digit PIN and your Campus Identification Number (CIN). The User ID for GET is your CIN. Your CIN can be found on your Golden Eagle Card (student ID card). The password for GET begins with the letters GET followed by the 4-digit PIN you were assigned. For example if your PIN is 1234 your password is GET1234. Using the User ID and password described above, you can Login to GET. 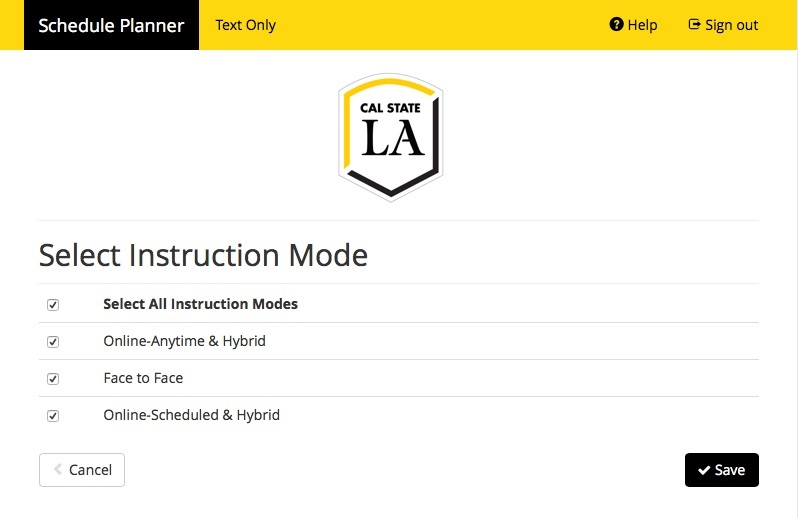 To improve your access to GET, download the free Cal State LA GETmobile app. You can quickly access class information, check grades, view detailed fee information, pay fees and much more! More features will be added over time; for up-do-date information on the latest version, go to the GETmobile app. April 3 - Registration for continuing students begins (be sure you have made tuition fee payment at least 3 business days prior to your assigned registration appointment date and time). 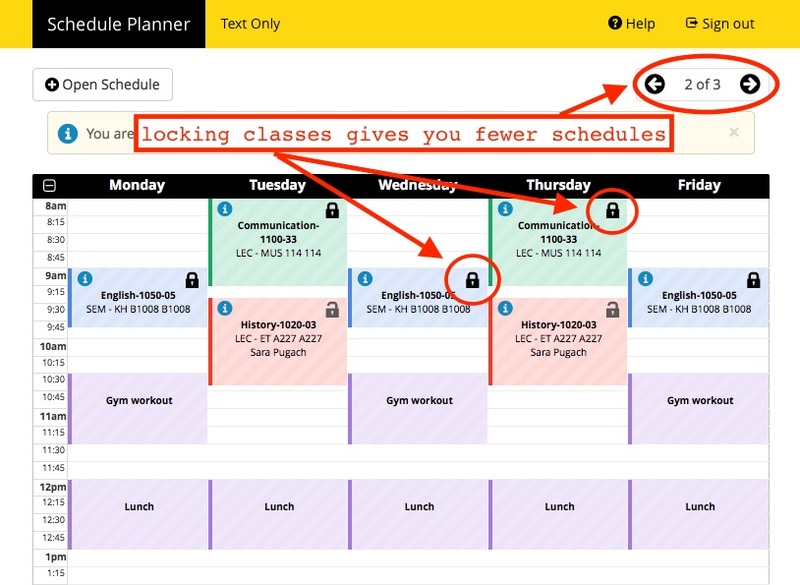 Either use Schedule Planner to create your schedule or the GET page to add a class. See the instructions above for help with both. November 15 – Emergency Withdrawal period begins (extenuating circumstances only, requires instructor, department chair and college dean signatures on Drop Request form, submit form to Enrollment Services, Admin. 409). December 7 – Emergency Withdrawal period ends. For Winter 2019 Information please visit the PaGE Winter 2019 site. October 29 (2018) - Registration for continuing students begins (be sure you have made tuition fee payment at least 3 business days prior to your assigned registration appointment date and time). 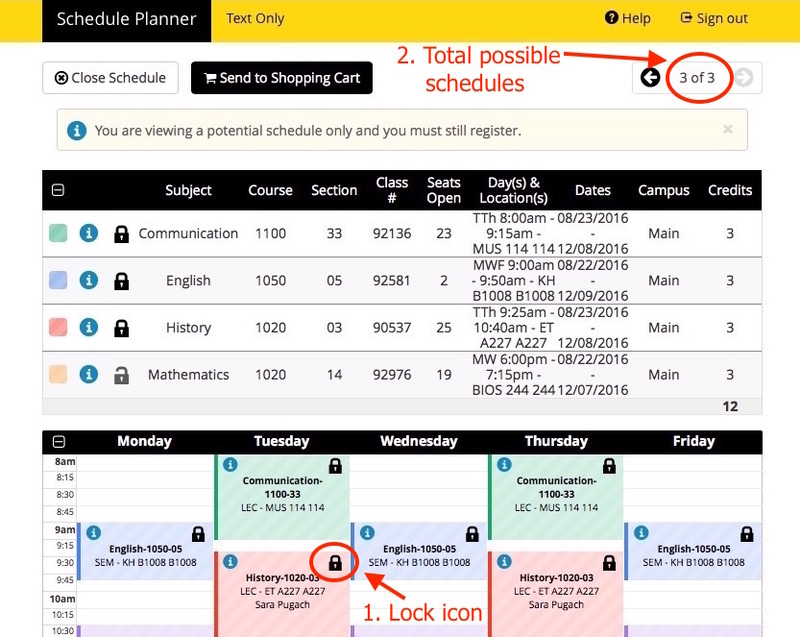 Either use Schedule Planner to create your schedule or the GET page to add a class. See the instructions above for help with both. April 26 – Emergency Withdrawal period begins (extenuating circumstances only, requires instructor, department chair and college dean signatures on Drop Request form, submit form to Enrollment Services, Admin. 409). May 10 – Emergency Withdrawal period ends. May 13 – 18 – Final Examinations. Click the topics below to learn about GET, or simply Login to GET. GET provides access to your own personalized web page with services and information tailored to you. 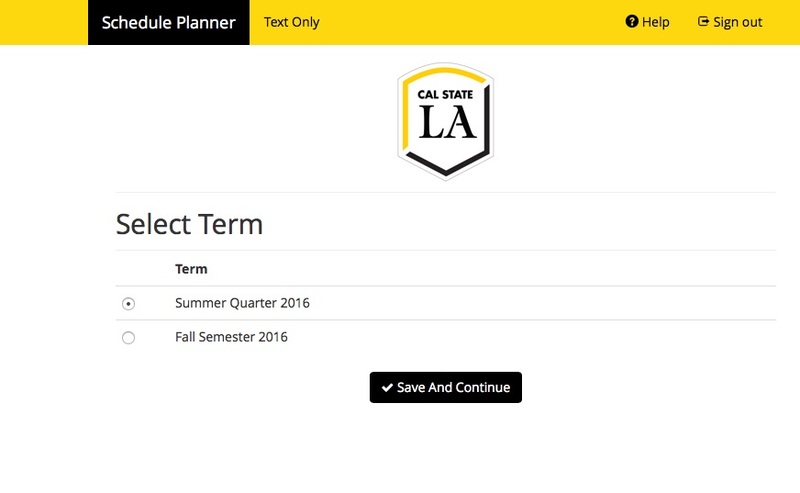 GET is available to Cal State LA applicants and continuing students. With GET, you can view the course catalog and search the schedule of classes online. Not sure when you can register? You can view your enrollment appointment. During your enrollment appointment time you can register online and Add, Drop, or Swap classes. View your To Do List: This may contain a list of documents that you need to submit, such as tax forms needed for your Financial Aid application. 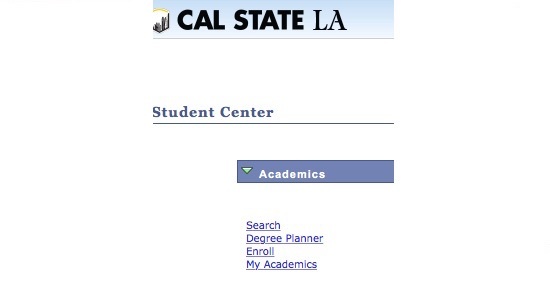 Click on the myCalStateLA link located at the top of the page. Under QuickLaunch, click on the GET icon. Still unable to sign in? Contact the GET Help Line at (323) 343-7438 or (323) 343-6170. GET Help Line Hours M - Th: 8:00am-6:00pm, Fri 8:00am-5:00pm. After hours, please leave a message. The Student Center displays important information like your class schedule and outstanding balance. Revise your personal information, search for classes, register, add/drop/swap classes, and control many aspects of your online student profile through the Student Center. If you navigate off of the Student Center page, you can easily return: just click on go to at the top and the bottom of the page. GET Student Center - "Personal Information"
The Personal Information section of Student Center contains important information that you can change or correct. Addresses: view your addresses by "type" e.g. home, mailing, and business. To change your current address, locate the address to be changed and click on the appropriate address label, e.g. Mailing Address, Home Address. Update the information and click save. You can also enter an address change that will take place in the future - just enter the date when the change is effective and click save. E-mail Addresses: View your e-mail addresses by "type" e.g. home, on-campus, and other. You can add new or update existing e-mail addresses. To change your current e-mail address, click the e-mail address link within Personal Information. Select the e-mail to be changed, enter the new address and click Save. 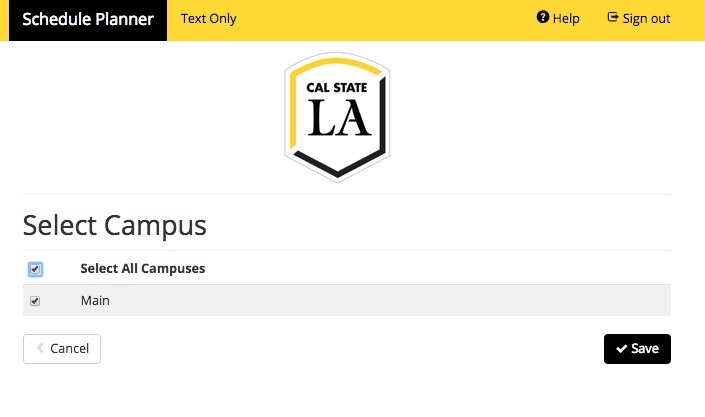 Important: Always check your Cal State LA E-mail address (located at the top of the page), since Cal State LA sends Official Notifications there. Emergency Contact: View the name, address, and phone numbers for your emergency contact. Add as many contacts as you wish. Demographic Information: View a summary of demographic data including date of birth, gender and CIN (Campus Identification Number). User Preferences help you navigate through the GET self service pages. The values include Institution, Academic Career, Term and Aid Year. Institution cannot be changed. You can update Career, Term and Aid Year, and your entries will save you time by auto-filling other menus. Remember to update these values to reflect new terms and new Financial Aid Years. 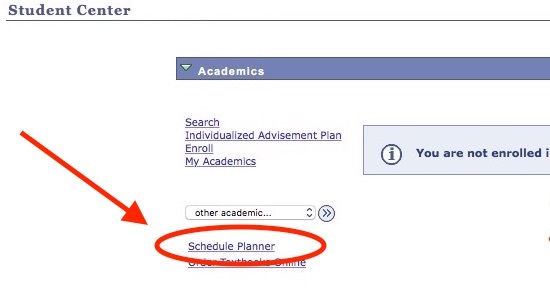 Use Degree Planner or My Planner to plan your academic path to graduation. Click on Search for Classes at the top right hand side of the page for real-time information on course offerings. is exactly: Enter the exact value of the Course Number (e.g. 2000). This is the default selection. The Holds section shows and explains any restrictions you may have. Click the link for any Hold to see more information. View detailed information about the specific hold and how to remove the hold. Example: you have a library fine and cannot use library services. Click on details to see what you must do to remove the hold and get library access. Click on details to view the To Do List page, which contains links for each To Do item. If there are items to be resolved you will see instructions on how to do so. Please visit the Records & Enrollment webpage for more information. Download the GETmobile app, the recommended mobile solution for GET. Please contact the ITS Help Desk with any technical questions at 323-343-6170 or email at helpdesk@calstatela.edu or visit LIB PW Lobby. Schedule Planner is a quick way for you to create your schedule. 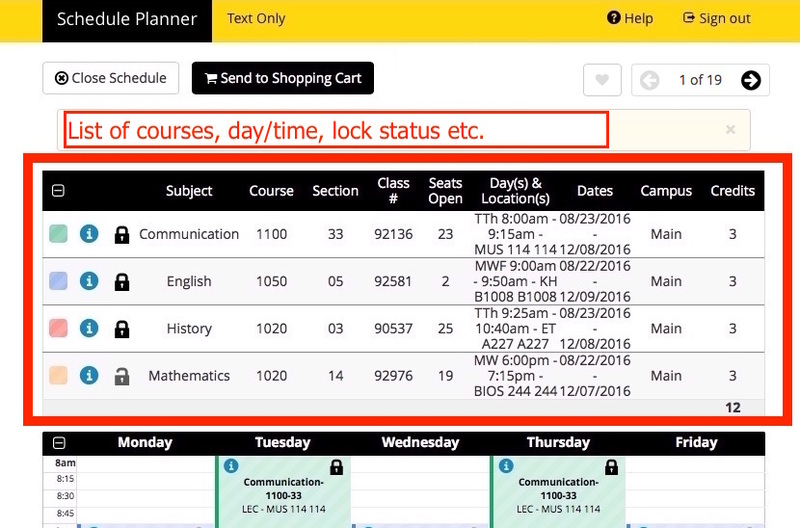 You access Schedule Planner from within GET and it helps you search for specific kinds of courses, avoid classes that don't work with your schedule, and quickly make a schedule that works for your academic career. Click on the Schedule Planner link. Schedule Planner will open in a new window. The first screens let you pick the campus and term for the classes you want to add. Once you do so, click the black Save And Continue button on each screen. After you have selected your campus and term, you will be able to edit settings on the Options screen. 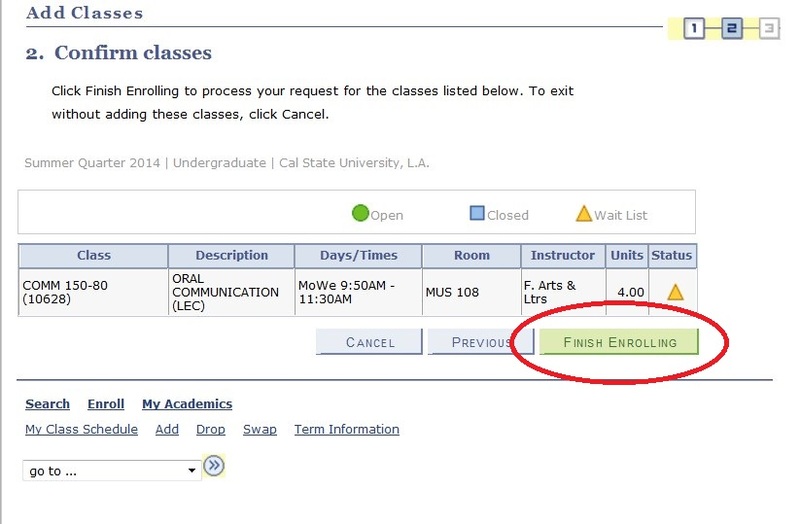 Course Status: Click here to choose whether to include full and/or waitlisted classes in your search. Campus: Normally leave this to "All Campuses Selected". Sessions: Normally leave this to "All Sessions Selected". Term: Make sure the correct term is listed here. Academic Groups: Click here to choose what colleges and Academic Groups you want to include in your class search. 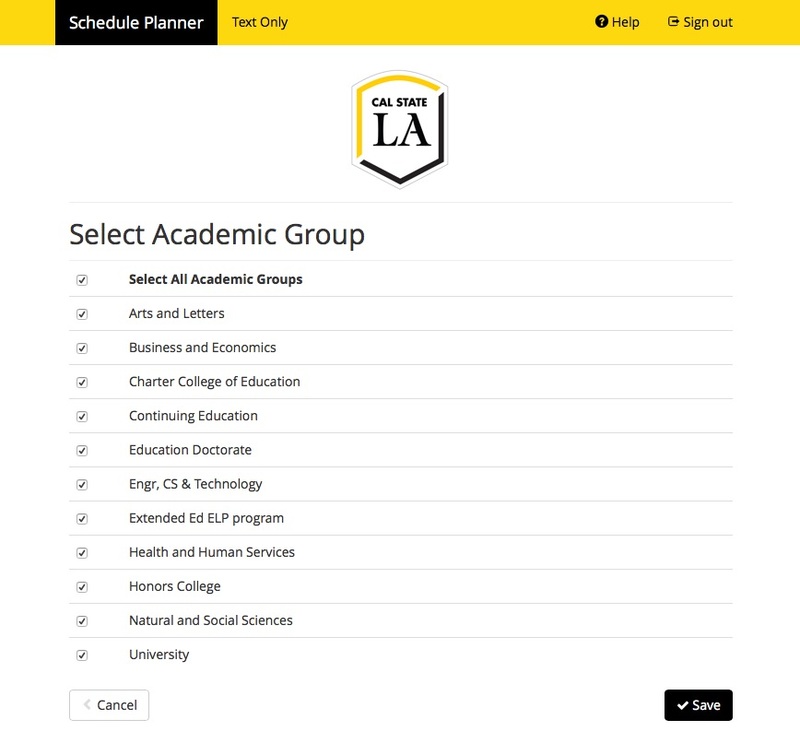 Use the checkboxes to the left of each Academic Group to select or deselect that group. Instruction Modes: Click here to choose between traditional classes, online classes, and hybrid classes. In some cases Schedule Planner will find courses that were added in Degree Planner. For more information on Degree Planner including which majors are available and who is eligible, visit the Degree Planner website. Your Degree Planner course(s) will now appear under Courses. You will see the Add Course screen. 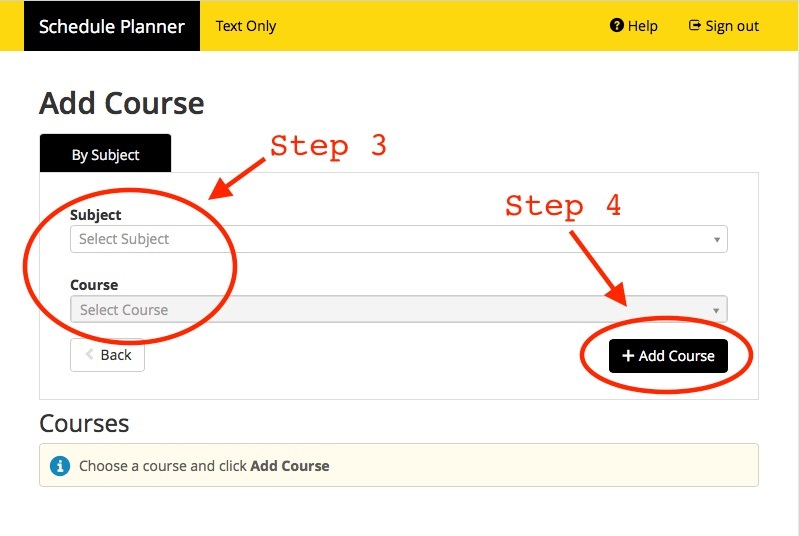 From the drop-down box under By Subject, select the subject/department that contains the course you want to add. 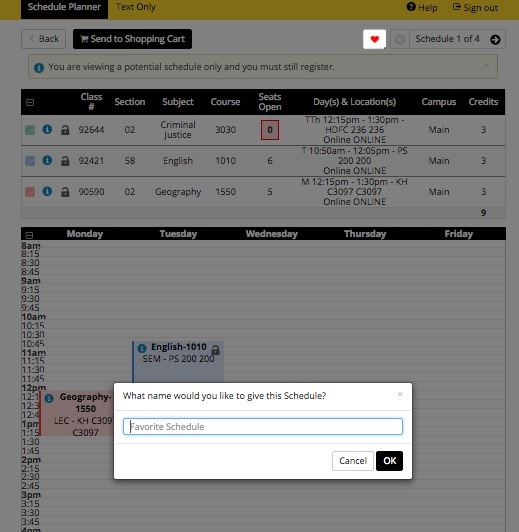 Then, from the drop-down box under Course, select the course you want to add to your schedule. 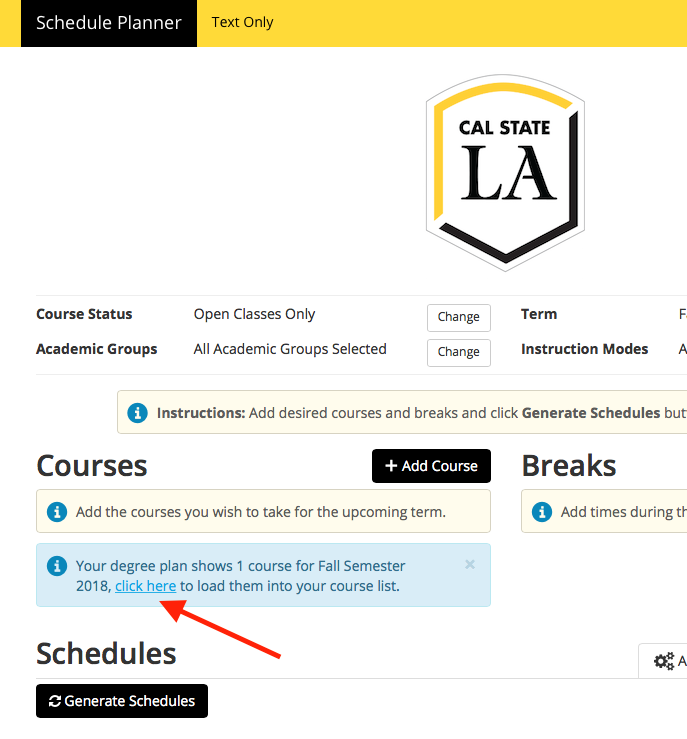 Once you click the black Add Course button, a green box will appear at the top of the screen confirming you have successfully added the course to your schedule. You can also click the blue i circle next to the added courses to view details on that course, such as prerequisites and course content. You can also search by Section Attribute. This tab lets you select specific types of courses, like General Education (GE) requirements, CSU Fully Online, service learning (usually Child Development), or Technologically Mediated (e.g. some Accounting, Nursing). When you are done adding classes, click the Back button to return to the main screen. 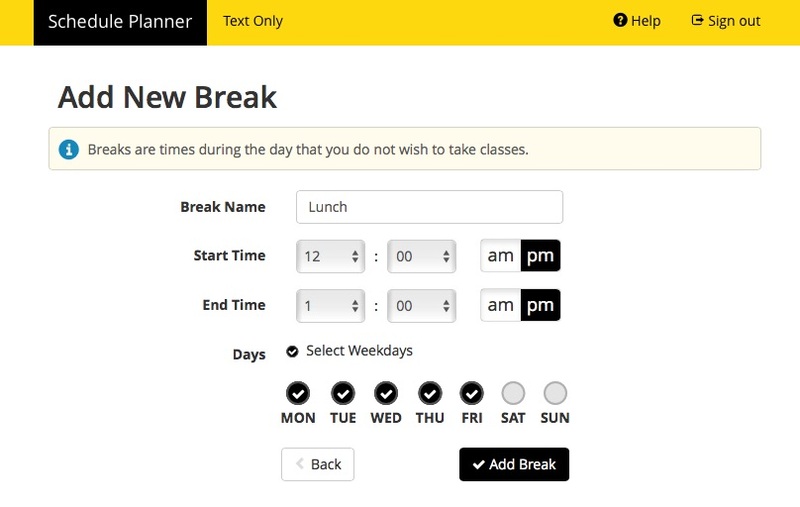 Use breaks to tell Schedule Planner when you can't take classes, e.g. when you have lunch, work, or other activities. Click the black Add Break button. You will see the Add New Break screen. Here you can give your break a name (e.g. lunch, workout, volunteering, etc) and specify the start/end times and day(s) you want the break in your schedule. Pictured is the Break screen with a break filled out for lunch from 12-1pm on MTuWThF. When you click the black Add Break button, you will be returned to the main screen, and the break(s) you have entered will be listed in the Breaks section. You can also add Class Padding, which adds minutes between classes to allow you time to travel. Access this on the main Schedule Planner page, under the Advanced Options tab. 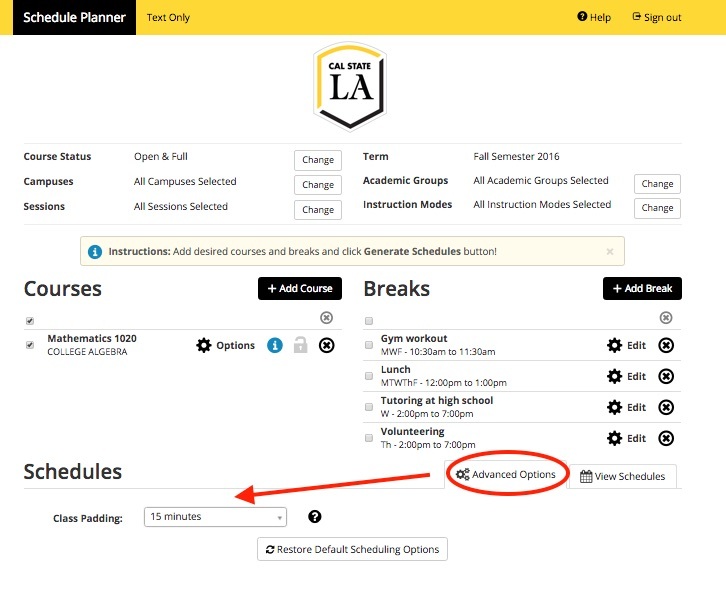 Once you add your courses plus optional breaks/padding, click the black Generate Schedules button to create your schedule. You will now see all the possible schedules you can have, given the courses and breaks/padding you entered. Tip: If you get too many possible schedules, consider adding more courses or breaks to lower the number of possibilities. Click the View link next to one of the schedules to show you the schedule on a calendar. You can browse through the available schedules by clicking the forward and back arrows at the top right of the calendar. 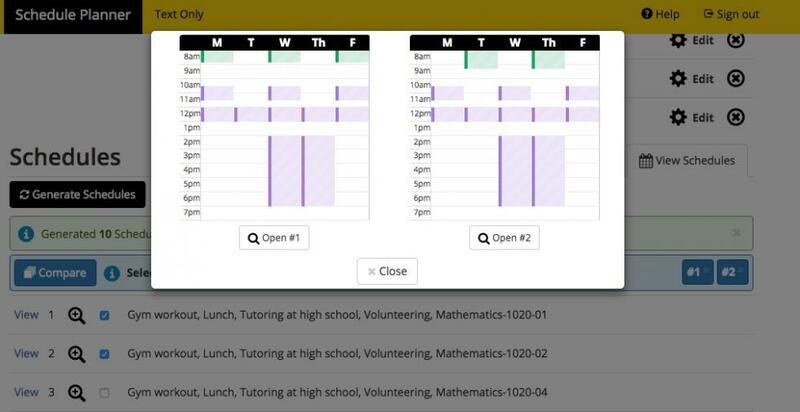 If you select 2 or more schedules, you can quickly compare them. 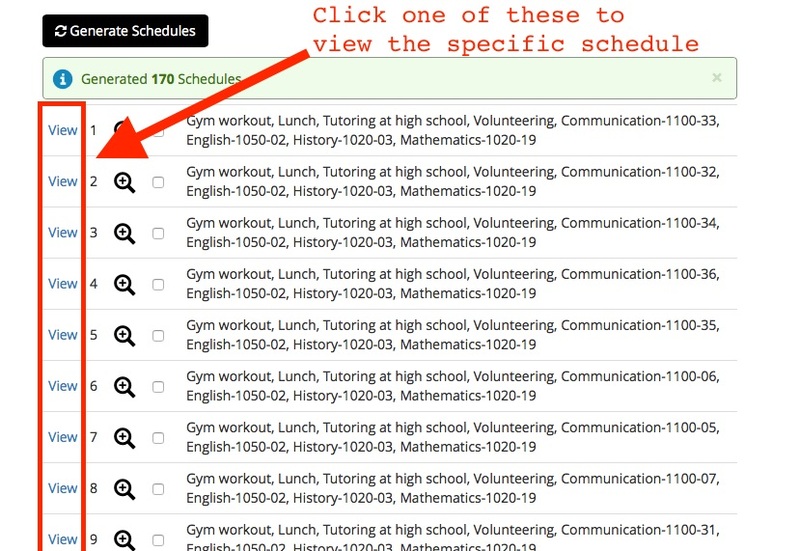 A Compare button will appear, and if you click it you will see mini versions of the schedules you have selected. Note how easy it is to quickly compare schedules! 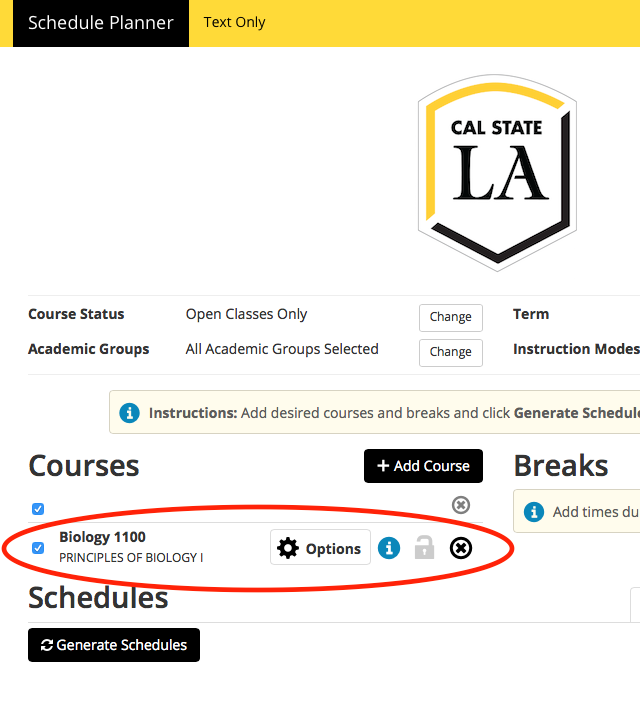 Clicking the lock icon (labeled 1) on a course will choose that course to be in your final schedule. This usually reduces the number of possible schedules offered to you. You will see the number of schedules at top right (labeled 2) go down, sometimes by a lot! Locking additional classes will again reduce the number of possible schedules. At the top, above the day/time calendar of your schedule, is a list of courses which includes their section number, days/locations, and whether you have locked them into your schedule. While you are viewing a potential schedule, you can Validate the schedule to see if there are potential issues that might prevent you from enrolling. For instance, you might need department consent to take a course, or you may not have completed the prerequisites needed to enroll in the course you're hoping to add. 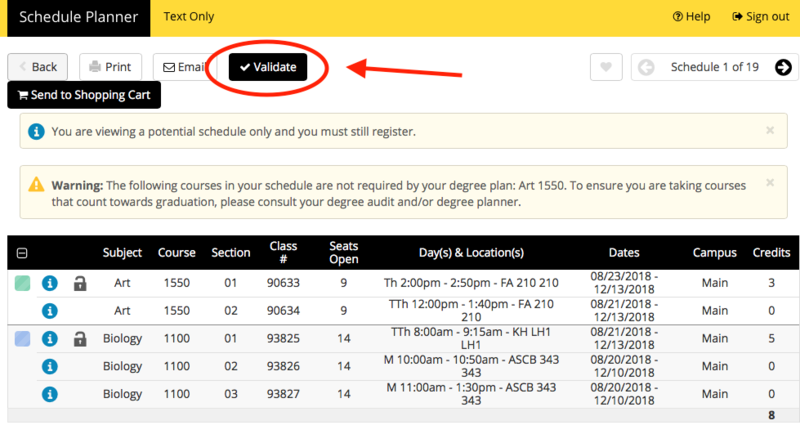 Click the Validate button to Validate your schedule. You will see a dialog box appear with your Validate Schedule results. If you find a schedule that you like, you can save it as a Favorite Schedule by clicking on the heart icon at the top right. A window will pop up asking you to name your schedule. You will be able to return to this schedule from the main screen under your Favorites. Once you have confirmed the schedule you want, click the black Send to Shopping Cart button at top right. A dialog box will appear asking you to confirm you want to check out with the selected schedule. If you click Cancel you will return to the schedule for further editing. 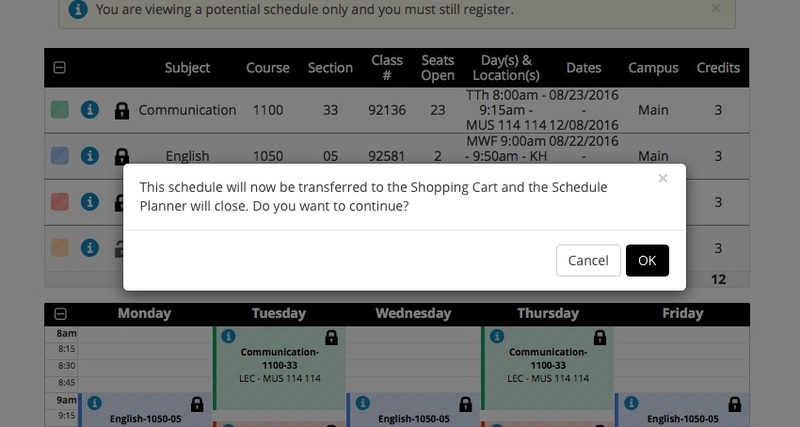 If you click OK you will exit Schedule Planner, return to GET, and then you can complete the process of adding the courses. A screen will appear with instructions on how to complete the process in GET. 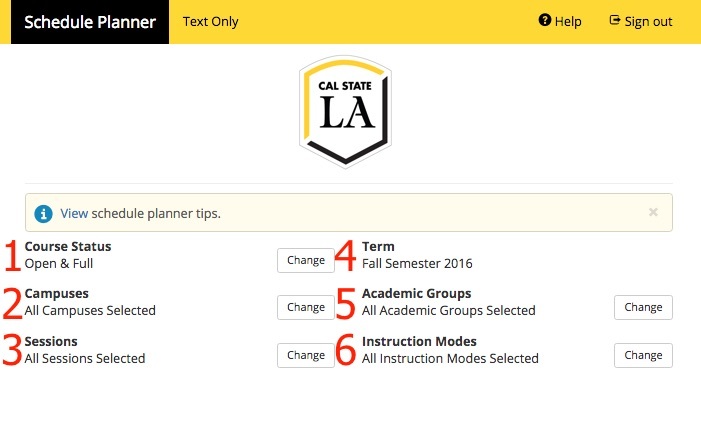 Cal State LA offers two tools to help undergraduate students plan their degree roadmap: Degree Planner and My Planner. In many cases, students with quarter units (i.e. pre-Fall 2016) can use My Planner, while students who began in or after Fall 2016 can use Degree Planner. Click here to see a slideshow about using a waitlist. Many courses offered that have reached capacity will provide the opportunity to waitlist during registration. What is a waitlist? 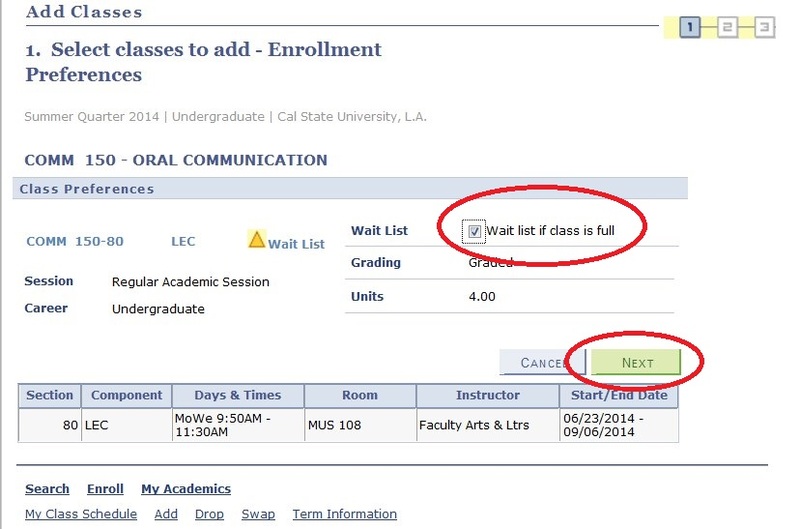 A waitlist is a way you can add your name to a list for full classes during the enrollment process. If a seat becomes available, you are automatically enrolled. This service is available for many courses offered. Waitlists are not available for all courses. There are some limitations and conditions for waitlists. What follows are some common questions about waitlists. What classes can I waitlist? Most undegraduate classes will have waitlists (see the limitations section below). Contact the department offering the course if you are not offered the waitlist option and believe you should. When can I be added to a waitlist? 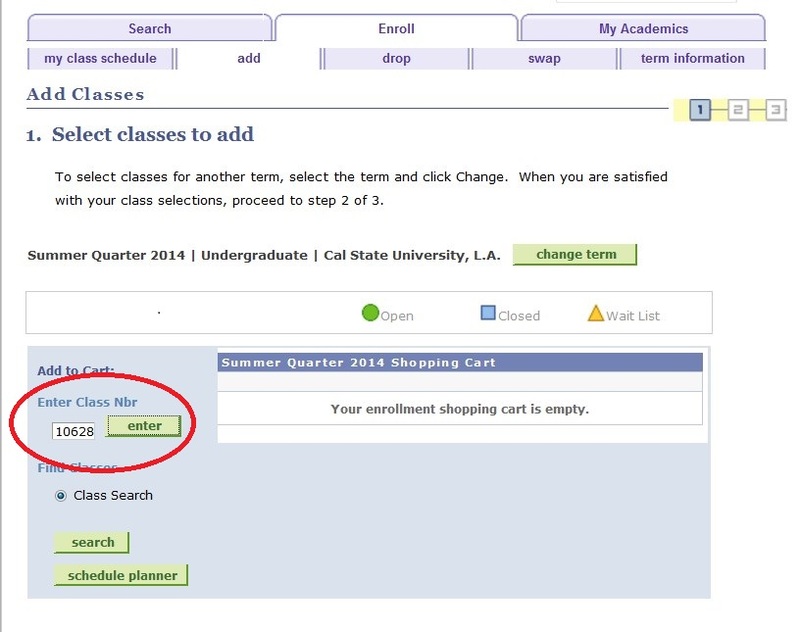 Once a class is full, a student can add their name to a waitlist beginning on their appointment date up to two business days before the beginning of the term. What happens after the waitlist period? The waitlist for a course will be turned off at 11:59 pm two business days before classes begin for the term. Students remaining on the waitlist after this period will not be enrolled through the waitlist process. At this point, instructors will determine who is added to the class. What should I do after I successfully waitlist in GET? 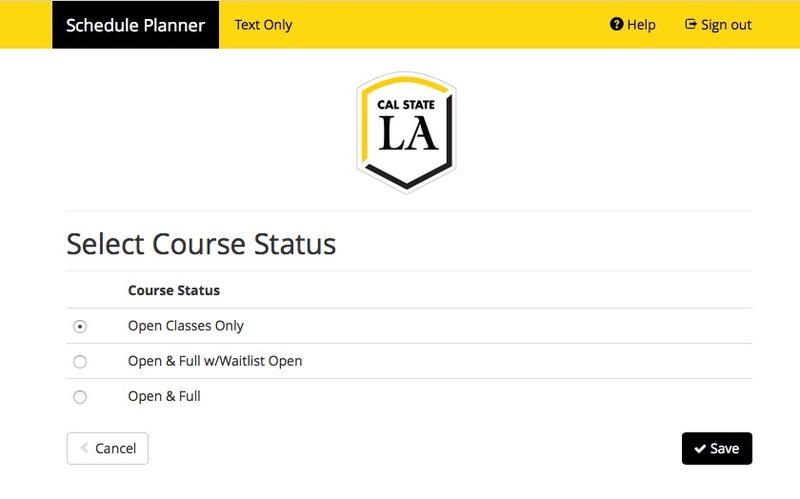 Before the start of the term be sure to watch your official Cal State LA email address (in the myCalStateLA portal) for notice that you have successfully enrolled. If you don't receive notification then you are probably not enrolled. In this case, after the term starts be sure to attend the first class meeting for the course you wish to add. At this first class you may be able to obtain a permit from the instructor to add the class. I am a part-time student, can I waitlist? All appropriate fees must be paid before enrollment from waitlist can occur. If appropriate fees are not current, the student will remain on the waitlist, but no enrollment transaction can take place. Part-time students who want to go into full-time status must pay full-time fees beforehand. Do waitlisted courses count towards enrollment? Waitlist courses are not counted as enrolled courses and cannot be counted towards financial aid or enrollment verification status. What if I decide to not enroll in a course that I waitlisted? Students are responsible for dropping themselves from the waitlist. If a student is enrolled through waitlist and does not attend the course, a grade of WU will be given which is the same grade point penalty as a grade of F.
How do I drop from a waitlist? You can drop from a wait list through the Student Center just as you would drop from any other class. How do I check the status of my waitlist position? 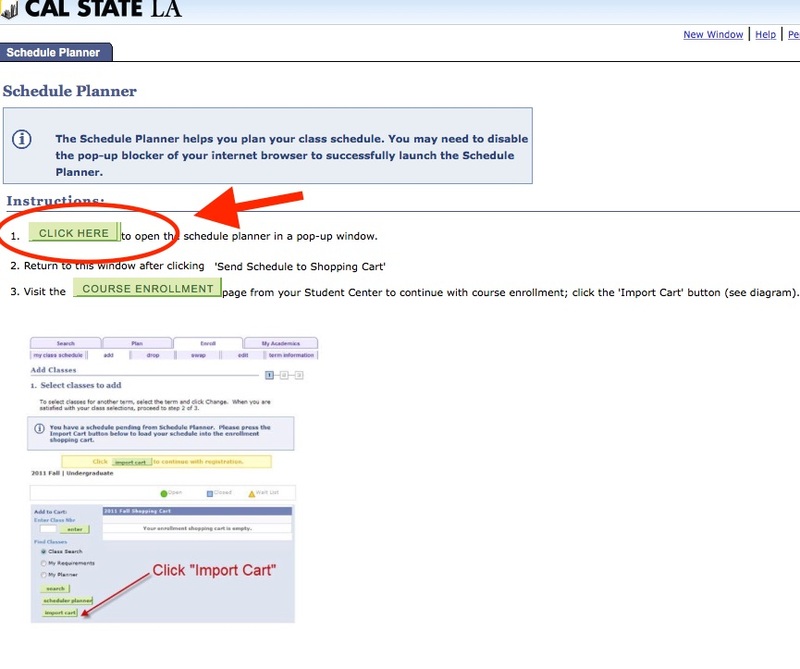 You can check your waitlist position in the class schedule section of the Student Center. Waitlist position numbers begin with number one using the “first come, first served” concept. Can students not on waitlist take a seat? If seats become available, the open seats will not be available to students that are not on the waitlist. Students can add directly if there are seats available and nobody is on the waitlist. How do I know if I am enrolled through the waitlist process? You should check your class schedule daily. If you become enrolled through waitlist you will receive an e-mail. Note that you have the responsibility to ensure that your enrollment is correct and you have added/dropped classes by the published deadlines. Is there a guarantee that I will be enrolled if I get placed on a waitlist? There is no guarantee you will be enrolled from a waitlist. Remember, it is first come, first served. May I enroll and waitlist in different sections of the same course? Yes, you may waitlist for different sections of the same class. 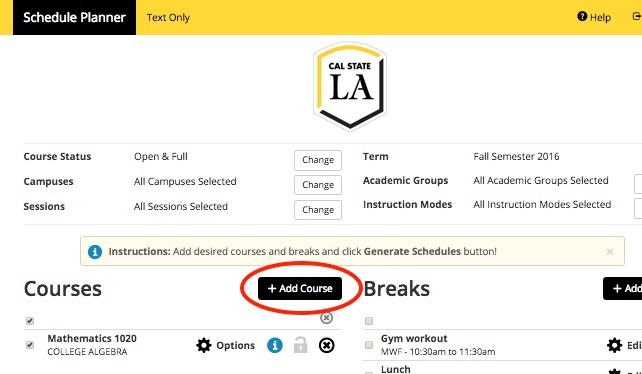 If you are already enrolled in one section of a class, but prefer another section you may choose to swap the enrolled section for the waitlisted section. You will only be dropped once successfully enrolled from the wait list. You cannot waitlist for or swap into classes that have a Related Class in common, such as labs that share a common lecture. 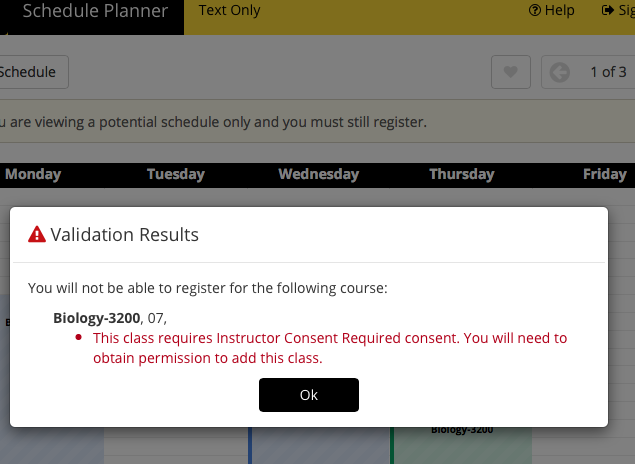 How do I know when new sections are added for a course I've waitlisted? Academic departments are encouraged to notify waitlisted students via e-mail when new sections are added. 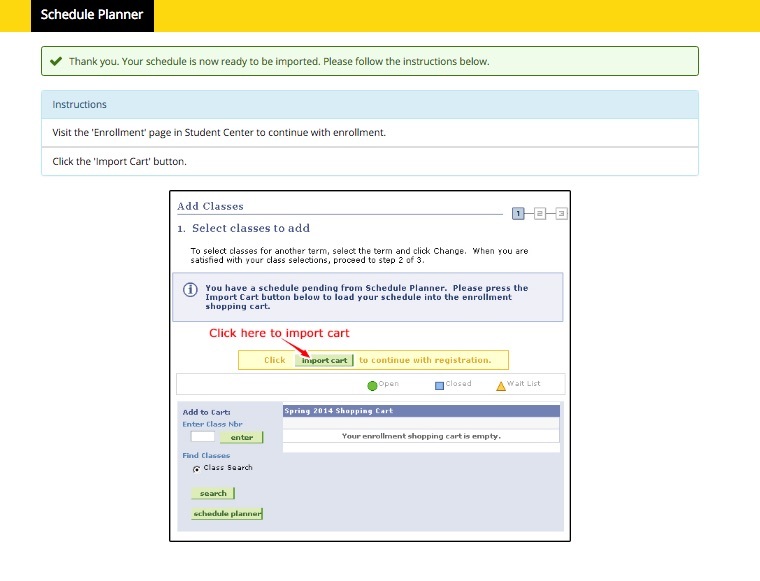 Students are encouraged to monitor their enrollment and periodically check to see if new sections have been added. It is the student's responsibility to access GET and swap the waitlisted section for a new open section. Please visit the Faculty GET page for Faculty-specific waitlist information. Co-requisites - Classes that require co-requisites cannot be waitlisted. Permitted Courses - Courses that require permission cannot be waitlisted. You need to go to the course's department to receive a permit. Registration Holds (Negative Service Indicators) - If you have holds on your registration, you cannot waitlist. Requisites - If you have not completed the required requisites for a course, you cannot waitlist. Time Conflict – If you are enrolled in a class at the same time the waitlist course is being offered, you will not be able to waitlist the course. 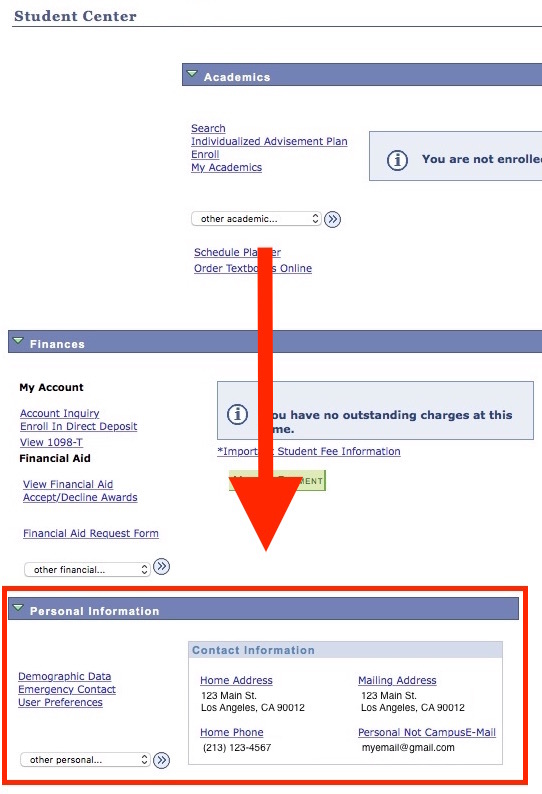 Exceeding Units - You cannot enroll in a waitlisted class if it causes you to exceed the maximum units allowed. 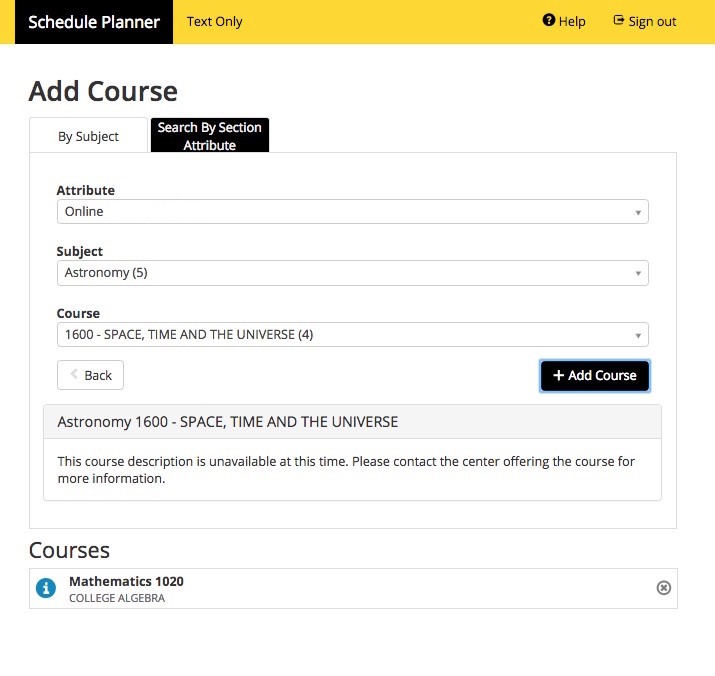 Additional Sections - Yout cannot enroll in a waitlisted class if you are already enrolled in a different section of the same course. 9 Units Maximum - Student may waitlist up to nine units at a time depending on full/part-time payment status. 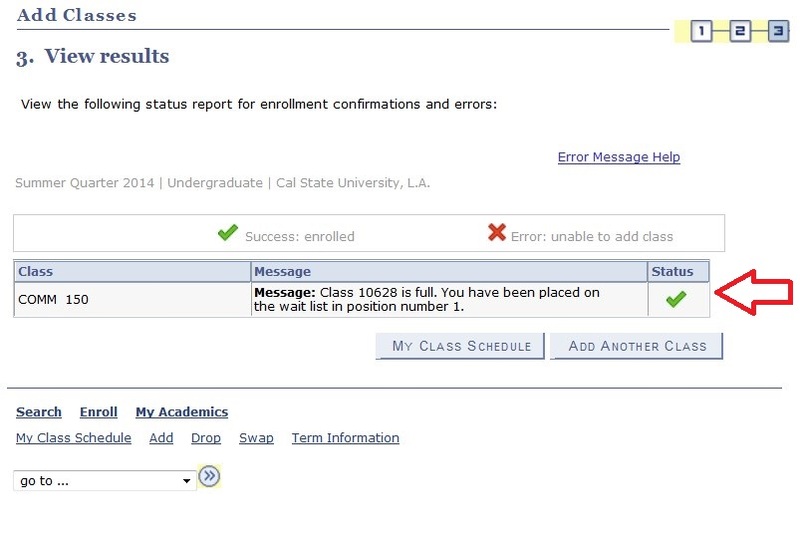 Example result: Waitlist Completed - Message reads: Class 10628 is full. You have been placed on the wait list in position number 1. For help on waitlist, please contact the academic department offering the course for which you are trying to enroll or contact the GET Helpline at 323-343-7GET (7438). Review, and if the correct course is displayed, click Proceed to Step 2. 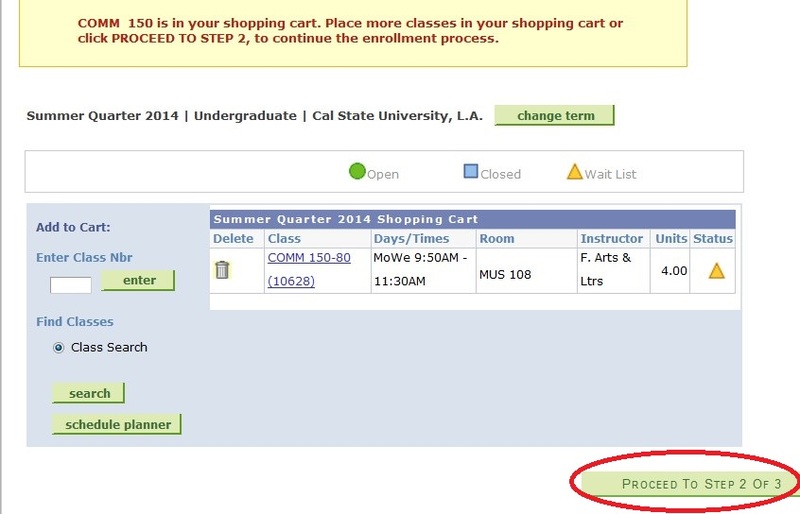 Note: You can delete the course from your shopping cart at this point -- just click the trash can icon. After you finish the wait list process you can drop the class like any other class. 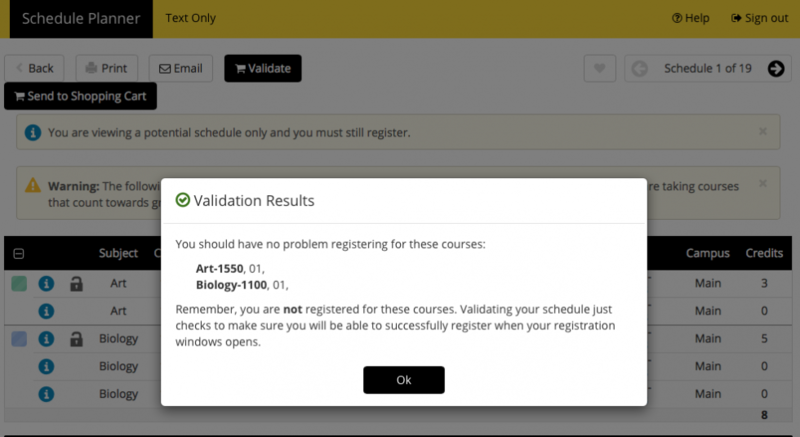 After you successfully wait listed a course, the screenshot below is what your schedule will look like until the system enrolls you into the course.